Looking for a student dorm? 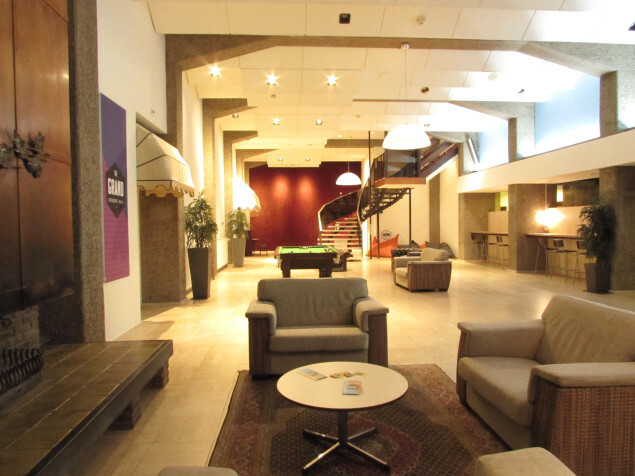 Get to know The Grand Student Hall, the most appealing community for students in the Heerlen-Maastricht-Aachen area. Rent one of our well-appointed rooms (for any period of time) and enjoy ‘The Grand Community’ experience. The cultural activities of the neighbourhood offer cafes and restaurants among the many squares in the city. Bring your toothbrush and laptop and leave the rest to us. Sounds like a plan? Check out the rooms of ‘The Grand’. The Grand Lobby: play pool, watch TV and chill with other students! The quality of your stay is our priority. Experience the luxury of a hotel, at home. Live in a fully furnished dorm, with your own bathroom and lots of other facilities all in one student housing complex. Within thirty minutes, you can be in Heerlen, Maastricht or Aachen. Ready to go? Everything can be arranged before your arrival. So when you get here, you only need to open your door and drop your luggage. Welcome home.